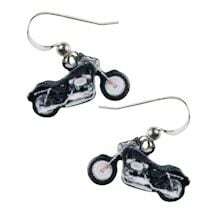 The only jewelry that rolls just like you: fast and fashionable. 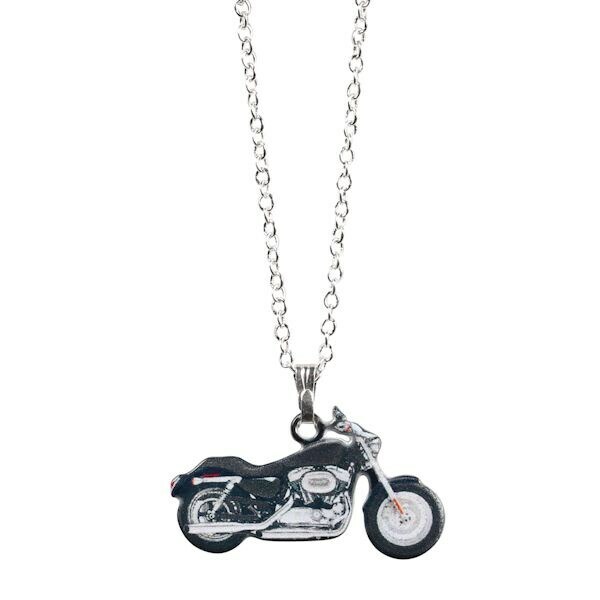 Tiny photo-realistic motorcycles dangle from this necklace; handmade in the USA, amazingly detailed. 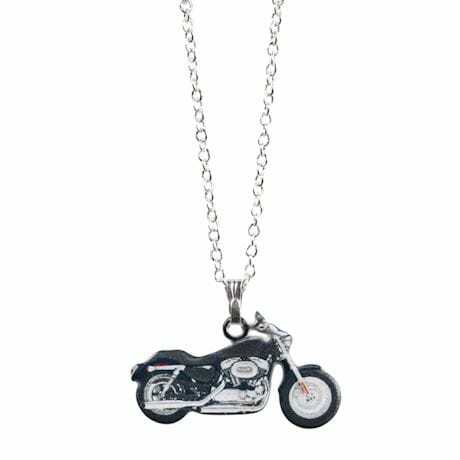 Stainless-steel motorcycle necklace has an 18" sterling silver link chain.